Google finally did it. After years of dabbling in devices with the Nexus line of products, Google got serious about making its own gadgets in 2016. 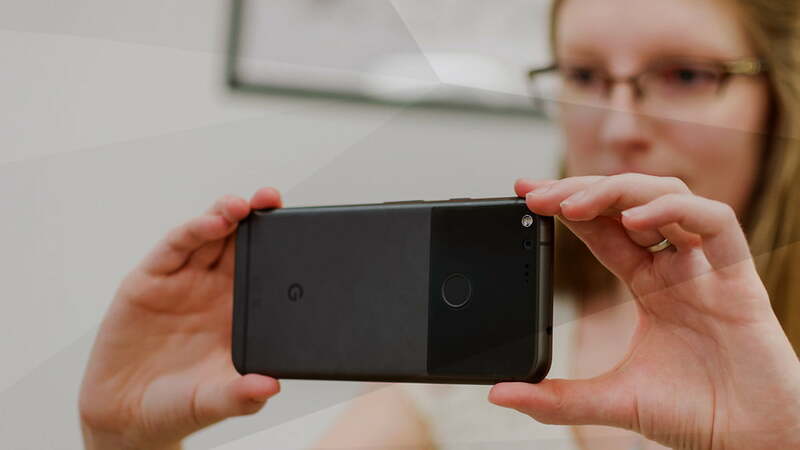 The Pixel and Pixel XL debuted alongside a fully featured ecosystem of products, all of which are made by Google. The Daydream View virtual reality headset, Google Home, and the new Chromecast Ultra all compliment the Pixel phones. With this robust lineup, Google has laid the groundwork for an exciting new future as a hardware company on the same scale as Apple and Samsung. Indeed, its Pixel phones rival the iPhone 7 and Galaxy S7 in terms of power, software, camera tech, and premium design. The Pixel can go toe-to-toe with the best smartphones ever made, because Google has overseen every aspect of these phones’ creation for the very first time. The hardware and software are perfectly tuned to make a cohesive, clear-headed product. The Pixel phones are the very best Android phones you can buy, period. And with this pair of products, all the things that once held Android back are no more. The weird user interfaces, slow software updates, and security concerns that plague every Android phone don’t apply here. Google’s Pixel phones run Pure Android, which is at its best with the latest version of Nougat and a full-featured artificially intelligent bot called Google Assistant. Google can also finally issue instant software updates and security patches to Pixel phones without going through any middle men. Google also built 24/7 customer service right into the Pixel’s Settings menu, so you can chat or call a Google representative whenever you run into a problem with your phone. It’s a forward-thinking move that will make owning a phone and making the most of it easier than ever before. The Pixel phones represent a big shift for the smartphone industry. Now that Google is going head-to-head with Apple on hardware and software, there’s no telling what could happen. We expect great things from Google’s new hardware division, and we can’t wait to see where the Pixel goes next. Amazon rewrote the book on ebook readers with its exceptionally innovative Kindle Oasis. Its cutting-edge design, crystal-clear E Ink screen, and large library of reading material make it the ultimate ebook reader for book worms. The Oasis boasts two months of battery life and it comes with its own slick, leather battery cover. If you’re a Prime subscriber, you can access thousands of ebooks for free on your device or sign up for Kindle Unlimited for even more titles. With the Oasis, Amazon has finally made the ultimate ebook reader. Pokemon Go led a social revolution in 2016. The pioneering game mobilized an entire generation of smartphone users around the world and made them wander about in hopes of catching rare Pokemon. It became a total social phenomenon around the entire world. The game has lasting implications for mobile games and the use of augmented reality in tech. Pokemon Go made AR relevant and fun for the first time, and it inspired millions to go forth and catch ’em all. We imagine many more mobile games will follow in Pokemon Go’s footsteps with cool AR features. Whew! Rough year. Fortunately, we got some amazing tech out of it. Digital Trends’ expert editors picked the most amazing gadgets in their respective categories, then convened as a panel to pick the one that towered above them all. Join us every day between now and Jan. 1 as we recap our favorites, and build up to the big Best of 2016 reveal!